Lives in the Anza Borrego desert. When I was in my 20's and had just broken up with my girlfriend. It hit me in just that way that shook my world. For a variety of reasons, I didn't have any tools to work with that, I was into art and literature, done therapy. I just couldn't quite hold it all together. I came to meditation like many people through struggle and pain and challenge. Luckily I knew some people in meditation groups. Shambala Buddhist meditation group. It struck me as being a sensible thing to experiment with. They were kind enough to bring me along. It's been 17 years since then. Yeah, the length of practice, and repetition of practice is crucial. Otherwise it is sort of like picking up an exercise regiment and doing it for a couple of days, you just feel kind of sore. And you don't get very far. But if you keep it up, something happens. I can think of particular situations, walking in somewhere, where I thought, "Oh boy, I'm really nervous", and then feeling that bubbling energy, that anxiety. And then enter anyways, with a certain kind of equanimity. That was ground-braking for me. There was always that sense before that, of trying to stuff down my anxiety. Trying to suppress it, which of course only makes it worse. Yeah, which is what else there is to learn about myself. To some degree there is more to learn about the practice itself, but really. In a way it is just applying what I've learned so far. Relaxing into the practice....and seeing what I can see. 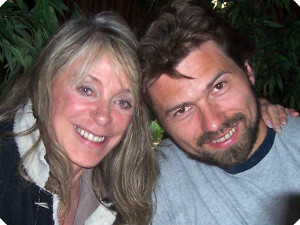 In 2009, I met Susan Gillis Chapman, who's a senior teacher in the Shambhala Buddhist tradition. She was teaching mindfulness communications. She conceived that type of teaching from being a marriage and family therapist, as well as a Buddhist teacher who in the Shambhala tradition was in charge of one of the longest and most sophisticated retreats in our tradition, the 3 year retreat at Gampo Abbey. Pema Chodron put her in charge of that retreat. I met her after that period. Johnny Perez is a non-attorney advocate at the Urban Justice Center Mental Health Project (MHP), a civil legal services firm that provides legal and social work services to people with serious mental illness. At the Urban Justice Center, he is assigned to MHP's Safe Re-entry Project, where he works with people with mental illness and histories of incarceration, to connect them to the services in the community that will assist them to attain better measures of recovery and gain the stability necessary to avoid further contact with the criminal justice system. Mr. Perez also works to change unjust policies and practices in the criminal justice system through his participation in the Jails Action Coalition, the Campaign for Alternatives to Isolated Confinement (CAIC), and the New York Reentry Education Network. Johnny is also a member of the New York City Bar Association's Correction and Reentry Committee. Drawing on the wisdom of thirteen years of direct involvement with the criminal justice system, Johnny has testified at the NY Advisory Committee to The US Civil Rights Commission about the inhumane treatment of teenagers in solitary confinement in state prisons and city jails. He is a sought after speaker having been invited to speak at Cornell Law, Fordham University, Amnesty International, and at the American Justice Summit where he discussed the cycle of incarceration with Nightline News anchor Ju Ju Chang. Johnny is currently completing his Bachelor's degree in Criminal Justice at St. Francis College while also completing his first nonfiction book: Prison: The Upside Down Kingdom. What were some of the events that led up to you spending 3 years in solitary out of a 15 year prison sentence? The first time I landed in solitary I was 16 years old, and ended detained in Rikers island here in New York City for gun possession. Ended up incarcerated for 8 months for having a gun on me. While I was in Rikers Island, I got into a fight with an individual over the phone. If you don't belong to a gang, you can't use simple entitlements that every person that's detained can use, like using the phone. Johnny got into a fight over the phone and as a result was given 60 days of solitary confinement. One of the things that made the situation worse, was that the person that brought the food, breakfast and lunch, belonged to the same gang of the person I fought over the phone with. So for the first two weeks, I didn't eat breakfast and lunch as a result. As a 16 year old it was challenging, lot of psychological and physical adversity as a result. As an adult when I was 21 years old I was sentenced to 15 years of prison for robbery in the first degree in which I served 13 years of that, with a total of 3 years in solitary confinement. My reaction as an adult was a whole lot different as an adult in solitary then as a teen. Now, years later, I'm a re-entry advocate at a non-profit law-firm at the early justice center. I've dedicated my voice, past experiences to creating alternative solutions to solitary confinement. Can you tell me what that was like to be in solitary confinement? The cell is very small, very quiet, maybe about the size of a small parking space. I'm 6 feet tall, and can stretch my arms out horizontally and touch both walls in a lot of the cells I've been in. During the summer, the walls start to sweat it's so hot. During the winter, it gets so cold you have to keep your head under the covers. Except you can't do that, because every hour an officer walks by your cell, to make sure you're alive and according to protocol, they have to see your skin. They leave all the lights on during the night and day too for security purposes, so it's hard to sleep with the light on. Yes, greatly, to the point where you lose track of time and even the dates. I'd try to keep a calendar to keep track of the days. Because one of my fears was that I would be there in prison for longer than I needed to be. Laurel Vogel, M.A. received her degree in contemplative ecopsychology (A Psychology of Writing) in 2006, and is an ecotherapist, writer, Zen practitioner, and Nature Immersion group facilitator. She founded and runs the Holding Earth Sangha on Whidbey Island, and conducts Nature Immersion camps on the West Coast. Her writing is anthologized in Rebearths: Conversations with a World Ensouled (ed. C. Chalquist), and her articles have appeared in Ecotherapy News, and Restoration Earth Journal. What brought you to a contemplative practice? I've been a spiritual seeker for a long time, from a young age. Vacation bible school busses would haul us off to church, and this opened up my seeking personality. I had a seeking personality, but couldn't find a home in the traditional traditions. I couldn't reconcile myself in those traditions. There was this God father that would punish people into eternal damnation. So I left that kind of church, and continued seeking. As a young adult, I went through many things. In my 30's I started Yoga, and had a strong Yoga practice for a long time. And in my 40's I started meditating with Vipassana. Eventually came to Zen practice 11 years ago. I found that Zen was the one place where I could have all my doubts, and be exactly who I am, but still have a really strong containing kind of a practice. Even though I came with all of my questions, and my sometimes contentious relationship with spirituality, it can hold that, and it can stand up to that. I find the non-exclusive nature of that, to be as close to a home in a practice as I could find. Interesting that you mention the judgement of the old testament religion, and then the non-judgement and inclusivity of Zen. Yeah, I don't really belief anymore that all Christian religions are like that, but I've come to find that, maybe even not all Buddhist sects aren't as inclusive as I would like. But for the most part, the one that I found seems to really embrace... it doesn't tell me what to think, what to feel, and how to be. So I had to go away from practices that were too prescriptive..
And the preconceived notions, and conditioning that they come with..
And of course there are precepts which we follow, but nothing like you have to believe, and have to think this way. But there's also a faith element in Zen as well. How do you relate to that as opposed to accepting something on blind faith? The faith is to keep practicing. To keep going, to keep sitting, to keep doing the meditation practice I think. That's really where the faith comes in. The process will take us toward wherever it is that we're going. I see that as different than being told what I need to have faith in. Through the culture, certain churches, not all of them, have really come to try to tell people a lot on how to live, and what to do. The particular church I was in for a while, they got into your life, from telling what length the sleeves of your shirt should be, to whether or not you should go bowling or swimming. It's that kind of a context that I was reacting to when I was looking for a spirituality that was more open and inclusive. Would you say you're still seeking, or is some of that now dropping away, now that you're feeling more at home in your practice? Bruce is the author of The Heart of Healing, Monastery without Walls ~ Daily Life in the Silence, My Little Flowers, Simple Peace ~ The Inner Life of St Francis of Assisi and The Calling of Joy. His latest book is The Love Letters of St Francis & St Clare. Bruce is a regular contributor to Huffington Post. A graduate of Saybrook University, Bruce is a spiritual psychologist and teacher of the essence of world religions. He has taught at JFK University in Pleasant Hill, California and many spiritual centers in the United States, Germany, and Switzerland. In 1975 he wrote the book The Magical Child Within You which was the first book written on trusting and nurturing the inner child. A couple years later he coauthored another best selling book Hugs & Kisses about loving life, which has been a theme of his work ever since. While a graduate student, Bruce met and became an apprentice to a remarkable Shaman who had the gift of entering into and teaching people in their dreams. For four years, Bruce was introduced to many realms and worlds outside normal western thought. These years were to be the beginning of Bruce's quest to understand the potential of psychology and spirituality. Since 1983 he has led interfaith spiritual retreats in many parts of Europe, Asia, United States. Taking people to sacred places like Assisi, Italy, participants discover the sacred place within themselves. For twelve years Bruce and Ruth lived in Assisi, founding the Assisi Retreat Center where people of all backgrounds are welcome to enjoy the simple peace and spirit of St. Francis of Assisi. He returned home to California in 2012 and established, Silent Stay. It is Bruce's wish to provide a sanctuary for everyone who yearns for real peace and quiet towards finding their own inner joy, spirituality, and purpose. Through the years, Bruce has studied and lived with spiritual teachers in India, Philippines, Germany and Bali, Indonesia. In 1992 Bruce & Ruth established a free food program for the homeless in San Francisco that continues till this day. High schoolers from some of America's wealthiest communities are traveling each weekend, into the poorest neighborhoods, serving food to people living in the streets. At Silent Stay, Bruce has a great interest in supporting people who have had a Near Death Experience or spiritual awakening. His primary intention is helping others to develop a meaningful spiritual life including a daily life of joy. Began when Bruce was in grad school, in psychology. He was looking at his serious teachers, uptight, not happy, all grown up. So he wrote a book, The Magical Child Within You in 1975. It was the first book on the inner child. That there's more to life than being serious and dull, grown up and responsible. We each have an inner child to trust and enjoy. Ever since he's been exploring the place of the heart. Then I gradually became more interested in meditation. Because meditation is a doorway to the really big part inside the heart. And when you saw all those "grown-ups" and serious people around you, did you ever go through that stage of being lost, and finding your inner child again? My wife says I never grew up. (laughs). She says, "Bruce you've never really had a job". You've never really worked. That's true, I've been leading retreats for almost 40 years, all over Europe, and US, and now going to Bali and other places. I've always been living from my heart, sharing from my heart. And it's worked. Trusting. Not an easy path, but it was the only true path I could do. Since you already found your inner child, was there anything that you did struggle with, where meditation practice was beneficial? Those days you didn't really know much about meditation, or India, or Buddhism, and all these new feeling therapies were out. I started a clinic in Denver, where people would come and we'd ask them how old they felt. And the ones that would say 15, we'd send these teenagers upstairs, the 5-7 year olds to another room, babies to another room. They would explore these different ages inside of them. This was the Denver feeling center. We thought this was a new frontier. We were adults, we were grad students, all different ages, but remembering the inner child. Meanwhile I was at a seminar in grad school, with a shaman. I didn't know at the time what that meant. One night I fell asleep and she came into my dream to my bed. The next day I went over to her, she said, "do you remember me coming to you last night?". So for 4 years, I was her student. And she'd come into my dreams, and take me to the other side, teach me in my dreams. She said I was the most stubborn student she had ever had. So mental. I was raised in a non-spiritual, non-religious family. I didn't really believe in any of these things. I thought finding my inner child and feelings, and thought that was a breakthrough. I didn't know that there was something even more. So she slowly taught me more. Even though I had all these direct experiences, I was resistant. Because it wasn't in my background, my culture. Once in Germany, she again came into my dream, she came into my dream, and I said this is not real. She said, "oh yeah?" And she pushed me, and I woke up on the floor. So slowly I began to realize there is much more to this world, then what we normally think in western culture. I spend some months with Philippine healers. These people were very poor, had no medicine, but they were using their hands to heal. And I saw and experienced incredible things. And then again I realized there is more to this world. These shamans and teachers all told me to think less and be more present. That I needed to learn how to meditate. Get out of your mental mind, and just to be present. So that was your main struggle, and stubborness, that you were not being present at the time? We're caught up in our heads, we don't realize that our mental life is only a very small part of a much bigger picture. In the west, we think our mental life is everything. We should think when there's something to think about. My wife tells me, Bruce you don't think too much ..(laughs) It's nice to just be present and enjoy life. And there's so much presents to receive. And appropriate action come out of non-thinking as well. Even though it is common to think that you have to think a lot before acting. Sometimes that is necessary, but often times, appropriate action comes about due to being fully present, available, and attentive to the present. Continue reading or listening on the Meditation Freedom web site..
After the attacks in Paris, Donald Trump proposed the establishment of a database of all Muslims in the country. Later, Trump called for a “complete shutdown of all Muslims entering the United States until our country's representatives can figure out what is going on.” The First Amendment to the US Constitution guarantees the right to freedom of religion. Hamid told CNN before the Trump rally that she only wanted to give Trump fans "an opportunity to meet" a Muslim. "I figured that most Trump supporters probably never met a Muslim so I figured that I'd give them the opportunity to meet one" she said. How did you get to a spiritual practice? My mother is from Columbia, South America. And her father is Palestinian. He went to South America in 1938, when his country was in turmoil. And the economic development had a downfall. Where he met Rose's mom, and they got married. Therefor people couldn't have a direct connection with god. That's how I understood it. Therefor I would have to talk to a priest, who would talk to Jesus, who would then talk to God. Because I was not worthy of this connection to God. I felt at an early age that that was not fair. So we plotted along, with going to church, until right before confirmation. When she was about 12, or 13. By that time, her father started to learn about his own faith, he was a Muslim, but wasn't practicing it growing up. I don't think he realized how different the teachings were, until he came to America. And until he really started to learn his own faith. So he was trying to teach us more about Islam, but we really didn't have much interest in it, at 13 years of age. And he wanted us to wait until we were older to become confirmed. So I really didn't practice anything. I believed in a higher power, God. But not much else. So it wasn't hard for her to leave the Catholic church at that time. It seemed to me that religion was being used to divide people in her experience. So I didn't have much desire to join any particular religion. Until after my husband and I got married and we started a family. My husband didn't talk much about religion, he is Palestinian. There was an assumption there was some Muslimness going on. But we didn't talk much about it. But I was going to have to teach my kids something. I started to learn about Islam, and it answered a lot of questions I had growing up. The biggest Aha moment, was the idea in the Islamic tradition of the story of Adam and Eve. In this tradition, the two of them. God here doesn't make Eve more culpable than Adam. The two of them disobey God. Then when the two of them, realize what they've done, they ask for forgiveness. And God forgave them. So there was never a break between God and humanity. This is just what I remember, I don't want to make the Catholic faith sound bad. I'm just telling my personal experience. I remember it seemed like God was always angry. Even in the Catholic tradition, I just feel like it's from that concept of original sin. You just feel like you're not worthy if you don't do that kind of thing. I remember a couple of things in Islamic teachings that drew me. And one of them is this idea that God is not just your judge. He's your attorney, your character witness, your supporting friend, who's going to be there to help you during the judgement. Seeing God in that perspective was very comforting. Also, the concept of there's a saying, that if you turn towards God, he comes running towards you. That idea, of a God who wants us to come to him, that felt more like the connection that I had been searching for. Right, most merciful, most kind. That's repeated time and time again. As Muslims pray, 5 times a day. We repeat it 5 times a day 3 or 4 times within each prayer. We're constantly saying, "In the name of God, the most merciful, the most kind...Praise is due to God, the cherisher and sustainer of the universe, most gracious, most merciful. Master of the day of judgement..Guide us along the straight path - the path of those whom You favored, not of those who earned Your anger or went astray. " I wound't call it a moment of grace, the understanding of the story of Adam and Eve was my Aha moment. Realizing, if God was willing to forgive Adam and Eve, then how should we as humans treat other people as well, as far as being forgiving beings. Yes, and I know that with any faith tradition there's a big range. There's people who pray daily, Christians who are more spiritual daily, and try to make more connections with God throughout the day. And then there's folks who go just once a week, and then there's what a friend of mine calls the, "Creasters", the folks who just show up at Christmas and Easter. So there's a range. ...they didn't read the whole Koran book at all. They're not doing anything that's being said, and they're very judgmental. They kill and chop people's heads of, etc. They're being the judge and executioner. That shouldn't be their job at all. Based on what I've been read in the Koran (In the Koran God instructs the prophet and Muslims not to judge or harm disbelievers, that this is his job to deal with them). I think these folks who are in power in many places in the so-called Muslim world, are not following Islamic doctrine. When I hear about things that people have done, I can't fathom that these people have read the Koran, or whole Koran. They might have read snippets that somebody handed them, and told them this is what it says. So I take that analogy into how people understand their faith. It's just easier to listen to whoever has the microphone, and then go, "Ok, I've done my studying". And people don't get into the depths of it. Yeah, that's very expedient...not doing the work themselves, kind of outsourcing it to whomever has the loudest horn. And another big part I noticed, I see it a lot in the old testament as well. It required me to have fresh eyes in reading it. Is the gratitude part, and how important that is. As humans we have such a tendency to take things for granted so quickly. One of the advantages...Spiritual and religious practices get such a bad rap, but there are so many good things as part of it, that would make humanity as a whole be in a much healthier state of mind. Like for example, the gratitude emphasis. What's your take, or what role does gratitude play in your practice? Part of the daily 5 prayers, there's some parts are structured, where there are certain things you can say and do. And other parts, you can read different parts or verses of the Koran. And some people have memorized certain verses that they've connected to, depending on how they feel. And a lot of them have to do with gratitude. When you're in submission, you're praying, and your forehead is on the floor, you're in a state of gratitude. Thanking God for what he has provided. It's difficult to pray 5 times a day without having an element of gratitude in it. So there's constant gratitude. There's an expression, "Al-?amdu lill?h", which means, all praise is due to God. Like if someone says, "you did a great job, or other compliments, you respond with Al-?amdu lill?h. All praise is due to God, that to me is this gratefulness that God has bestowed on us. There's even a sense of, if something bad happens, it's an expiation for past sins. So there's even a gratitude for that. Thank you for providing me an opportunity to expunge a sin. So they're a constant sense of gratitude for what has been given, even if it's a bad thing. For having the opportunity to get through that. Lynne's meditation programs and curriculum have been implemented in elementary and high schools, special needs schools, and hospitals. Lynne Goldberg is also co-founder of OMG. I Can Meditate!, a mobile and web meditation app that can teach anybody how to meditate in just 10 minutes a day. Lynne's simple and clear teaching style has brought the joy of meditation to stressed-out business executives, soccer moms, eighty year olds, kindergarten kids, and everyone in between. She is the author of the book Get Balanced. Get Blissed. Lynn was not a natural meditator at all (stresses this point). So many folks are intimidated by meditation, and look at other meditators and think, "oh, I could never do that". She came to meditation by accident. Her mother was diagnosed with stage 4 colon cancer. At the time when Lynn's mother went through all her cancer treatments, her doctor recommended she try meditation. And simultaneously, Lynn was going through infertility treatments. So she thought, while her mother was having difficulties with her treatments, so Lynn thought, if it can help her mother, maybe it can help her as well. And when you're pregnant, people like to tell you, just relax, and you'll get pregnant. So she looked at meditation as a way to help her relax for that as well. As well as deal with this stuff that was going on as well. She didn't have any plan. What she noticed was that she wasn't coping as well as she'd like to cope. Lynn noticed that she was waking up at 3 am having panic attacks. Sleep was difficult for her. Her self-worth was very low. Lost her job, her marriage started to fall apart. She did not feel very good about herself. Lynn calls it her automatic thought machine, her ATM, which unfortunately doesn't dispense a lot of cash. Rather it dispenses self-criticism. Over time, the self-talk can become a bit more realistic, little less self-critical. Lynn's first experience with meditation, she was going through infertility treatments. And she used a cassette tape guided meditation recording. That was more like body scan, that type of meditations. She wasn't physically capable of doing silent meditations, of doing anything but guided meditations. Over time it didn't really change, she'd have moments of peace and tranquility. But it wasn't immediate. But further down the road, as she started to develop that attention muscle, she could get more silence in those gaps. So she could develop that practice more. But she has to say her mantra for a long time was, "when will this be over, when will this be over". Which was really important to us, as we developed our app. We really tried to address those concerns, that most people have when they meditate. And then give up, because they think that they're not doing it properly. We wanted to reassure people, that this is it. There's thought, thought, thought, thought, thought...And then you go back to the object of your attention, and you have some more thoughts. And as you continue to do that, eventually it becomes a bit more accessible. A little bit less though, and a little bit more space. And it sounds like you're putting components of self-acceptance in your app's guided meditations. So that people aren't as hard on themselves, as you did on your former self. I'd love to say that I did..What I did notice, was that I had been craving, hoping to achieve a certain state. Peace and quiet type of state. I noticed that that peace that was so elusive, was accessible for periods of time. And I could access this state of mind, more when I was allowing myself to be still and quiet than when I was not. And so I counter intuitively I always thought I had to work really really hard to achieve a certain state. If I do this, then maybe I can get there, or have that. But what I recognized, is the less I did, the more peaceful I actually felt. So that was that shift in me. I wouldn't say that it, boom all changed all at once, but that realization was really helpful and important. Yeah I think that is the case with many people, it doesn't just go from one day to the next. But they may read a story that says it should happen a certain way, so pretty quick it turns to self-doubt, and thinking there's something wrong with oneself. Continue reading episode show notes..
Sandy Haskin practices Zen meditation with the Three Treasures Sangha of the Northwest. She currently lives and works in Spokane, Washington. She works as a Nurse Aide at a home for mentally ill adults, and also sells books, DVD's, CD's on Amazon with her sister. She has worked at the former for 10 years and the latter for 5 years. Yes, with another man. So she was confounded what to do with her life, and how to make her life work. So she read a book called, Women Who Love Too Much, by Robin Norwood. And she said, if there's any alcoholism in your family, look up a 12 step group. And I said, well, I qualify! (laughing) It was just an afterthought, last chapter in the book. So Sandy went to ACoA, and found her home. 12 steps is all about finding a spiritual answer to your life, to your problems. And it is not an option, that's the whole basis of the 12 step program. But they don't tell you what it is going to look like, that is your job to find the answer. So Sandy began to meditate at home, watching a candle flame. That particular meditation just so happens to be the one she began with. She then ran into a friend, Pamela Lee who invited her to meditate with her in Seattle. So she began sitting with a group, which was fundamental for Sandy. To start a practice, and be connected with a group, a schedule, a teacher, and a community. That was back in late '86. And she's been meditating ever since, off for about 5. I called myself not an alcoholic, but ACoA, I was in 4 different 12 step programs. But yes, the 2nd step is coming to believe that a power greater than myself could restore me to sanity. And the 11th step is through prayer and meditation seek to improve your conscious contact with God as I understood God to mean. Praying only for knowledge of God's will, for me to carry that out. So yes, prayer and meditation are very basic, I made them basic to my program. But it is not necessary, but it is part a path you could learn. Other folks go to church and don't meditate, and yet others do go to church and meditate. You gotta find your own way, finding your own spiritual path. I was, I was quite the addict! (laughing) In fact I was ordered to go, my best friends were there, it was so much fun. I was going to treatment for my alcoholism, which I love, I love the attention to myself. And the counselor said, when we're finished with your treatment, you will go to AA. And I said , I will not, I'm already in another 12 step group, I love it, and I'm getting it. So she couldn't finish her treatment there. She started out in one group and ended up in quite a few others. Her friend had sat extensively with the Three Treasures Sangha, a Zen meditation group in Seattle, Washington. They're under the umbrella of Robert Aitken's Diamond Sangha in Hawaii. And she has been with them ever since. What did you find in particular very helpful about a Zen group like the one you're going to? I guess the focus is totally on meditation, and not so much what you do or don't believe. In fact, the people that introduced her to this practice, are Catholics, and don't even want to be called Buddhists. So the focus is on the practice. Doing the practice, and committing to it. Sandy liked what she saw in these people, they were adults, her age. She seemed to really settle into just meditating. Not too much of read this, follow that person, there wasn't so much asked. Then when there was a teacher, you could listen. It wasn't like sermons in church. More focus on meditation, which fit her personality more. Yeah, one thing about meditation that is hard for our culture, is I don't believe that there are typically not instant results. There are subtle results, like over time, her personality started to calm down. From the outside, for example, you wouldn't guess that I have a lot of anxiety. But I did, I was tongue tied, I was very self conscious, worried about things I would say, etc. And meditation seemed to calm things down, but it took a long time. I remember a strange story. I was sober and looking for God, looking for a program for a few years. And I wasn't getting it...Like where is God, or the spirit, whatever. I was miserable. When you go into meetings, Jamborees, retreats, etc. With all these people that seem so happy, and I wasn't so happy. So I was asking God for a sign. I was desperate. I was like, there is nothing happening, there's nothing here, I just wasn't getting it. And..I was, maybe I need this, maybe some people don't need to get what I got. So I asked for a sign, but I did, I was up in the middle of the night. I had been sober for a year, religiously doing the steps. And I was on the toilet crying in the middle of the morning. Sometimes you have those nights! About a half hour after that, I started to smell smoke. I lived in an apartment, and I opened the door, there was smoke coming down the hallway, and one of my neighbors apartments was on fire. So I went back to my apartment, and we ran to get everyone out of the place. I went back and locked my door. It was a mess, my place was a mess, they smashed my door, so don't lock your door if you're ever in a fire! Continue reading show notes on the web site.. This is a mini episode, just chatting about the past year and what the next year might look like. Hoping to give you as much value as possible, and get more illuminating interviews lined up. Mark talks about holding a sound meditation and there was all of a sudden someone playing Elvis music in the room next door. "Don't step on my blue suede shoes!" So he played his meditation sounds with the music, so it was incorporated. He brought their awareness in and outside the room, allowing all sounds to be. This was helpful to hear to the meditators. One of the ladies at the end said she loved the part of the Elvis sounds. Others also were glad that the sound was allowed to be there. Yes, that's my keyword, is, surrender to what is, just allow it to be. That's where I found my peace. Ahh..Just to breathe it out. It's just really simple, whatever comes up. "Ah...I stubbed my toe!" Find the present in that, where's the gift in that. Maybe the way I am, not paying attention. Perhaps not conscious where my body is in relation to other fixed objects. Or need to stop thinking about a certain thing, so I stubbed my toe. Could be simple, or very complex reasons for it. Whatever arises, love that. Mark: My experience, about 7 years ago. I was doing guided meditations with different recordings, and listening CD's. A friend of mine brought to my attention Tibetan singing bowls. I didn't know what they were at that time. Yes, it was the chant, "The end of suffering". I was moved internally. I could feel this release and ease in my body upon hearing it. Not something I noticed in previous meditations before. So I started researching Tibetan bowls. And I wanted to see if there was a school that teaches the history, the use, and how to work with them. Go to the episode show notes and listen to the episode.. 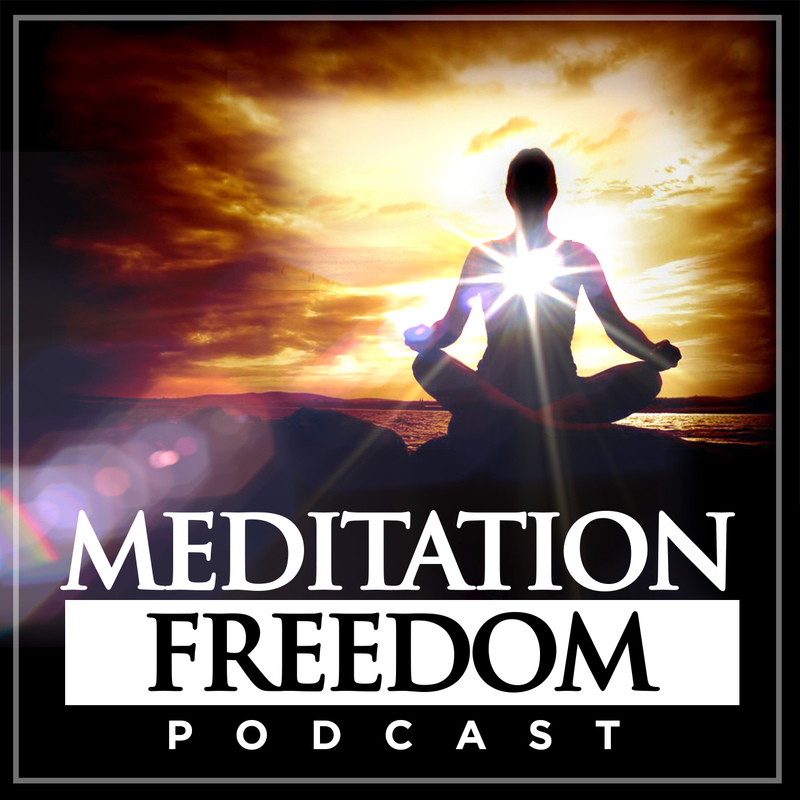 Copyright Meditation Freedom Podcast | Live with Mindfulness | Reduce Stress | Increase Wisdom Compassion | Powered by MyPodcastWorld.com Get your free podcast too!